Birds of Saskatchewan arises from the work of hundreds of men and women who, since the 1820s Franklin expedition, have observed and kept records of the birds encountered in the province. Under the guiding hands of Alan Smith, Stuart Houston and Frank Roy, a large flock of volunteers has compiled and sifted through records to present an accounting of the past 200 years and the current status of 437 bird species, complemented by personal stories and colour photographs. 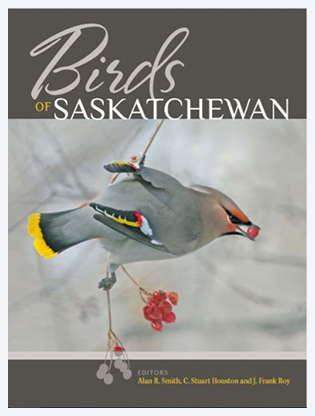 This story of change and adaptation will interest anyone who wants to know more about Saskatchewan's birds, and provides a benchmark for future generations.